Showing Suite Real Estate - Home Showing & Listing Management for Agents & Sellers. 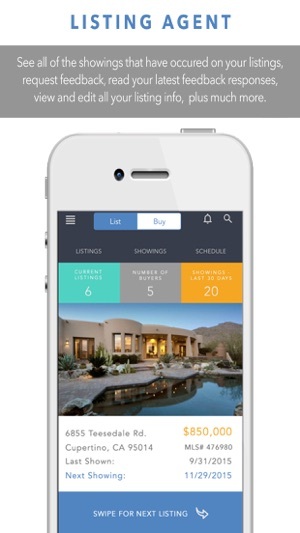 This groundbreaking, innovative real estate showing and feedback management application improves on our previous mobile experience for home showing and listing management. 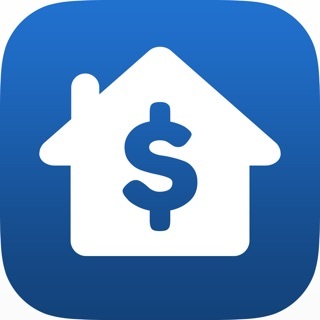 For the first time ever an app that envelops all of the four parties in a real estate transaction. Whether you’re a listing agent, home seller, buyer’s agent, or home buyers, there’s no need to juggle around multiple apps -- instead, you’ll only need this one. - Full native experience on all iOS devices -- including iPhones and iPads. Showing notifications and showing management, on the go -- right in your pocket. 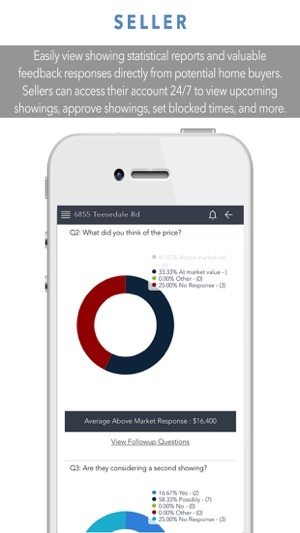 - Automatically gather showing feedback and see your feedback and showing statistics to price to the market. 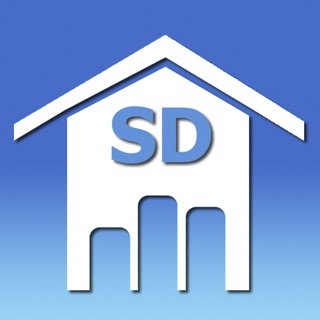 - Includes user experiences for both our listing agent subscribers, their seller clients, and also home buyers and buyer’s agent account experiences for those agents that utilize our Showing Robot service to schedule a showing. - Receive notifications of any account activity: New Feedback, Showings that need Approval, Confirmed Showings, Tasks Reminders, and more! - All of your listings in one place: My Listings. With our fantastic accordion-style design, see what details you want on your listings and ignore the rest, or see everything! - All of your showings in one place, too: My Showings. Easily view current, past, future showings, all in one place, or add new future showing appointments with the click of one button! 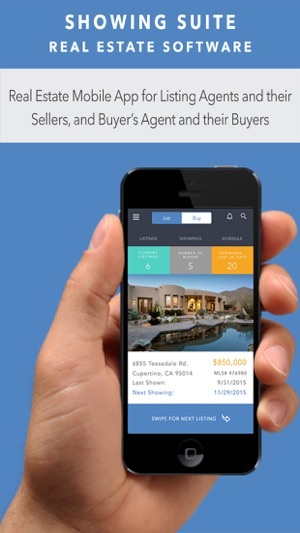 - A contact management tool for all of your showing agents info, listing info, sellers info. - Easily find agents that have shown a particular listing and then call, text or email them. - Manage all of your showing feedback. email all agents whom have shown a particular property for price changes or you have an offer and would like to get multiple offers. - Use Showing Robot to automatically schedule your showings. - Use TEXT2SHOW to place on your real estate signs for buyers to get a digital property flyer and schedule a showing. It’s like OpenTable for showings. - Receive notifications of any upcoming agendas for you: Showing Appointment Confirmations, Showing Appointment Cancellations, and Showing Appointment Rescheduling notices as well! - Search for new ‘Showing Robot’ enabled properties in your ZIP code to show to your prospective buyer clients and request to schedule a showing. - Provide showing feedback on the app to eliminate feedback request emails. 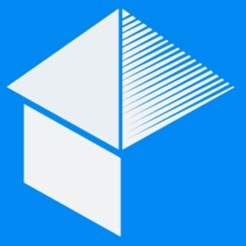 - Have transparency to your real estate showings and showing feedback. - Receive notifications of any upcoming items of importance for you: New Feedback from agents, Showing Appointments that need your approval, New Tasks completed by your agent, New Notes Shared by your Agent, and more! - With the accordion-style navigation, easily see your property statistics, and see how it compares with the rest of your showing demographic. Is your home getting the same number of showings that similarly priced homes are? Have there been more showings? Do agents think our property is priced correctly? If we aren’t priced correctly what do they think it should be priced at? These questions can be answered by viewing your Showing Stats. 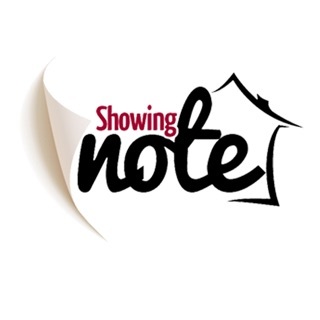 - It’s like EVERNOTE for showings! - Check in at every showing and automatically save all your info including the MLS information. 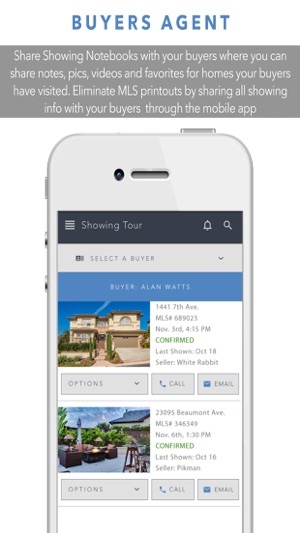 - Create and share text, picture, and video notes with co-buyers / co-renters during real estate showings, and share your notes with your agent, on social media networks and with your family and friends. 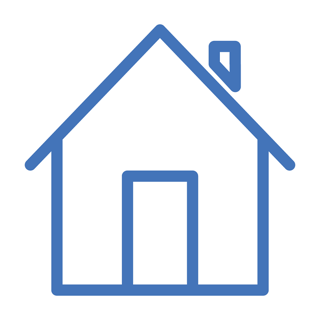 - Receive price change and listing status alerts for homes you have seen. - Drag and drop your favorites. Needs to updated, especially since this is a paid service. The idea behind the app is good, but the execution is terrible. Showings only show up on the calendar after they're completed, the dashboard just shows the number of visits, and number of responses, you have to go through a couple other steps to even read them. The Showing Time app is far better. Actually there’s no comparison. This app does not show upcoming appointments, just records the showing after it takes place. It doesn’t let you confirm, deny, or suggest a different time like the Showing Time app does. © 2016 Showing Suite Inc.